Exhibiting Symptoms of Alcohol Abuse? Every day, people all across the UK visit the pub for a drink or two with friends. Others sit down at restaurants to enjoy a good meal that may include a glass of wine or a pint of lager. Still others may take a drink at home before heading to bed at night. Most of the time, such casual drinking is not a problem. But there are exceptions. There are people who exhibit the symptoms of alcohol abuse with every drink they take. Are you one of them? Alcohol abuse continues to be a chronic problem in many parts of the world. Here in the UK, government estimates suggest that between 6% and 7% of the adult population exhibits at least some of the symptoms of alcohol dependence. That is a statistic that needs to be taken seriously. If there are that many exhibiting signs of alcohol dependence, how many more are abusing alcohol but not yet dependent? There could be millions. You might be concerned about your drinking habits. That’s good – at least in the sense that you are aware you might be drinking too much. We urge you not to ignore those concerns. Any amount of alcohol abuse can lead to dependence if it is not dealt with in a timely manner. Alcohol abuse is a well-understood problem that the medical community has studied for years. Though we don’t have all the answers, we do know enough to be able to recognise the symptoms of alcohol abuse most of the time. Abusers tend to do very predictable things that act as warning signs of a potential problem. Those behaviours can be combined with physical symptoms to give an indication that someone is abusing alcohol. For the purposes of clarification, we have divided the symptoms of alcohol abuse into three categories: behavioural, physical, and psychological. Let us look at each one individually. Financial problems as a result of drinking. Slight to moderate withdrawal symptoms between drinking episodes. Hallucinations (may be visual, auditory, or tactile). Any combination of these symptoms is cause for concern. The greater number you exhibit, the greater the likelihood that you are an alcohol abuser on your way to dependence. Please bear in mind that every drinker is different. You may exhibit just a few symptoms of alcohol abuse while someone else may exhibit all of them. The point is this: do not take any chances if you present any of the symptoms listed above. Get professional help right away. One crucial thing we want you to understand is that alcohol abuse can be treated. While every alcoholic is an alcohol abuser, not every alcohol abuser goes on to become an alcoholic. You can get control of your drinking with professional treatment and support. You need only make the decision to do so. What course your treatment would take depends entirely on the alcohol symptoms you exhibit. For example, if a clinical diagnosis revealed that your problem is relatively minor, your treatment might consist of a prescription medication to help you avoid future drinking combined with either counselling or participation in an alcohol support group. A clinical diagnosis placing you in the advanced stages of alcohol abuse may dictate a more aggressive treatment. You might be recommended to an outpatient day programme that involves counselling and working with a registered nurse and therapist. If you were to be diagnosed as being in the early stages of alcohol dependence, you might need to undergo detox. All of the information we have provided here is general in nature. There is no way to know for sure what your situation is without a thorough evaluation. Fortunately, we can provide that evaluation. Our 24-hour helpline is staffed by trained professionals who follow a step-by-step process of determining how serious your drinking problem is. When you call, one of our counsellors will lead you through a set of questions designed to measure how much you drink, how often you drink, and what kind of effect drinking has on your mind and body. The questions were developed by professionals who are experts in alcohol abuse and dependence. We can help you determine how serious your drinking problem is based on your answers. Then we can recommend treatment options based on that evaluation. We urge you to take advantage of this free service if you are at all concerned that you might be abusing alcohol. We offer free evaluations because we know there is no single approach to alcohol treatment that works for everyone. You are different. You need a treatment programme individualised to your needs. 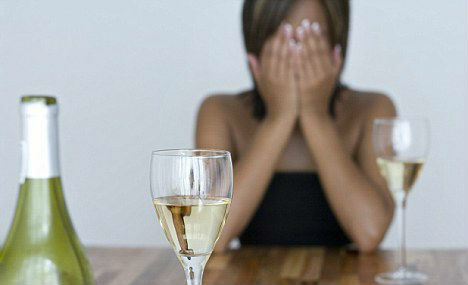 Are you among the millions of Britons misusing or abusing alcohol? If so, you don’t need to continue living this way. Alcohol can be controlled – you just have to learn how to do it. The first step in learning how is contacting us for your free evaluation. As a referral service, we work with private rehab clinics and other service providers located throughout the UK. We can help you locate a treatment facility capable of helping you get your life back on track before alcohol destroys everything you hold dear.